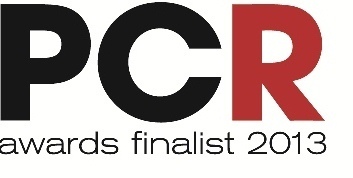 Mirus IT ends the year on some good news that we’ve been nominated for the Reseller of the Year award with PCR Magazine. Seventy-five different companies from across the technology and computing channel have been selected overall – the winners to be judged by a panel of some 100 UK computing/technology channel execs. Now in their sixth year, the PCR Awards celebrate the commercial and creative success across the entire UK PC and tech channel – from independent retailer, through distribution, to blue chip hardware vendor. PCR will be hosting the Awards ceremony on Thursday March 14th at the Royal Garden Hotel in Kensington. Comedian Terry Alderton will be the host on the night. PCR is a publication of Intent Media, delivers priceless trade information for the home and business computing sector. Its total average monthly readership figure across print, online, digital edition, PDF downloads, apps, mobile and social channels tops 80,000 and is constantly growing. The full list of shortlisted companies can be found here.